Toyota has been caught making an ad with the Etios Cross hatchback in Pune. 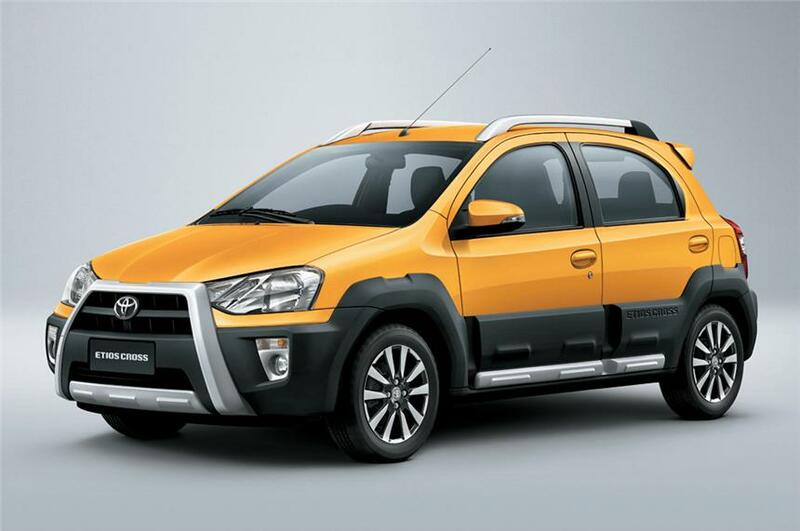 The Etios Cross will be launched in India at the 2014 Delhi Motor Show. 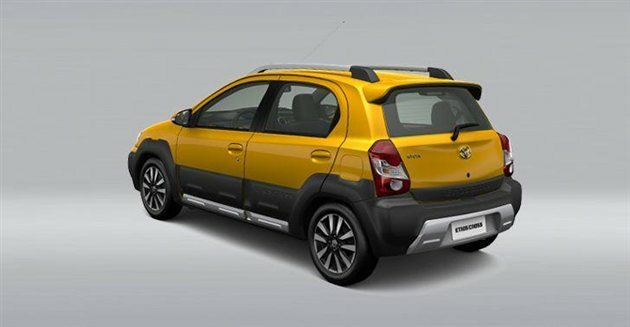 The Toyota Etios Cross has already been launched in South America and in that part of the world, the hatchback gets a 1.5 liter petrol engine. 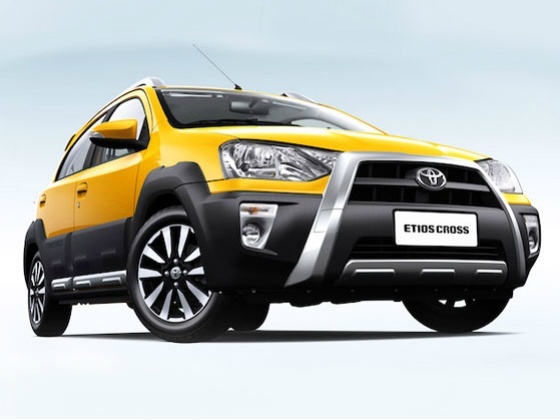 the Etios Cross is basically a sturdier and more rugged looking version of the Etios Liva hatchback – a car that hasn’t exactly set the sales charts on fire. Toyota hopes that the Cross will inject some appeal to what is perceived as a plain-Jane hatchback. and rear bumpers, and thick side body cladding. It also gets new ten-spoke alloy wheels and roof rails to complete the look. The cabin is likely to feature a black dashboard and new seat fabric, and is likely to also be well equipped. At interiors, the car is expected to be lumped with technologically advanced engineering of Toyota. Dashboard is expected to have multi usage compartments for small luggage and finely stitched fabric upholstery will be primarily seen as a basic feature, along with option of leather seats in high-end variants. Also, it is speculated that steering mounted consoles and height adjustment driver seat will be unique features accompanying the top versions. A similarity could be witnessed on the main dashboard where speedometer is likely to be placed in the middle, similar to the hatchback version. Expected to be placed in a price range of Rs. 8 lakh – Rs. 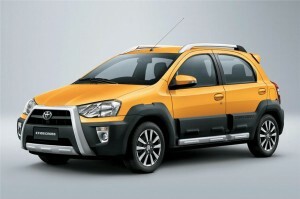 12 lakh, Toyota Etios Cross is anticipated to face stiff rivalry from Volkswagen Cross Polo. The German auto major introduced Cross Polo last year and it was lauded with appreciations. Also in the league is upcoming Fiat Punto Cross, which is expected to arrive in late-2014.